Hiring a personal trainer to constantly monitor your progress and effectiveness of workouts is one way to avoid plateaus. If you don’t have that liberty, start by taking a look at my 7 tips for adding intensity to you next workout. Recruit More Muscles in a Given Exercise: Take a basic exercise like a push up and add an additional challenge to recruit more muscles. Use a Bosu, Stability Ball, TRX, or other tools that require recruitment of additional muscles to perform the chosen exercise. Here I’m working with the TRX to complete suspended push ups; adding shoulder stabilization; core activation; more glute and leg strength to support my torso; more abdominal strength to maintain a neutral spine in the suspended position. Superset: Combine strength and cardio in a circuit such as jump rope or sprints between resisted strength exercises. Chose exercises that do not fatigue the same muscles. Go to Failure: When you complete your planned number of repetitions and find you can’t complete any more, try doing another one with assistance of a training partner. Don’t sacrifice form. Hill Training: Add incline to the treadmill or find a hill to run repeats. Even adding 2% to a treadmill can add significant challenge for someone new to hill training. Start with 1 min hard up the hill and 2 min jog or walk back down, or simply walk if using a treadmill. Explosive: Adding explosive movements like kettlebell swings, squat jumps, or plyometric push ups. Substantially increase heart rate. Make sure you are placing these in a portion of the workout where you are not extremely tired. 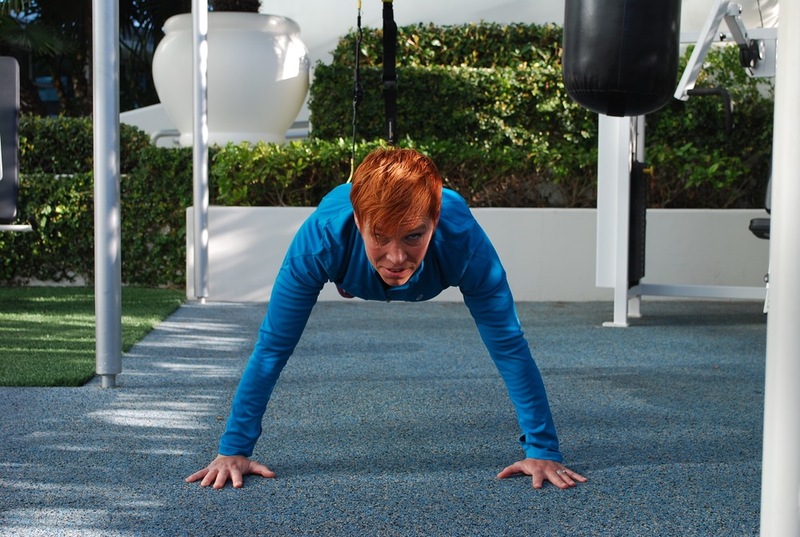 For beginners, I suggest placing 5 minutes or different explosive exercises in the middle of the workout. Lift Heavy: Research shows lifting a heavy weight for just 8 reps burned double the calories of lifting lighter weights for 15 reps. Keep adding weight in small increments until achieving 3 sets of 10 to failure with good form. Keep working with this weight until 10 reps become more manageable and then add a couple more pounds of resistance until you can barely complete 8 reps. Circuit Train: move quickly from one exercise right into the next choosing exercises that target different muscle groups. Select anywhere between 3 and 7 exercises. Ideally choose 1 exercise that targets the following: chest, back, shoulder, a total body exercise and the rest is up to you. Organize yourself so you don’t have to travel far between exercises, have all the weights handy, and include some bodyweight. Keep rest between exercises to less then 30 seconds and allow up to 2 minutes rest after completing a circuit. Please contact me at carlaweier@compleatfitness if you would like to discuss either in- person training or virtual training.